SMSF investors have continued to look beyond a volatile share market, with new data showing the asset class’ lowest recorded investment for five years in the June quarter of 2016. 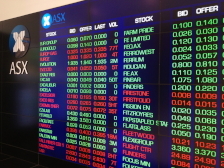 According to new data released by the platform services provider OneVue, investment in listed shares by OneVue SMSF investors dropped to 19.23 per cent in the June quarter, down almost 10 per cent from two years ago and more than 3 per cent from the previous year. SMSF investment in listed shares is now at the lowest level ever recorded by OneVue, whose records date back to June 2011. In that quarter five years ago, listed shares constituted the biggest asset class held by OneVue SMSF investors, representing 29.5 per cent of investment. “SMSF investors are continuing to react with caution to current volatile market conditions, by turning towards cash and term deposits and managed funds,” OneVue head of product and transactions, Brett Marsh, said. According to the OneVue data, SMSF investment in cash and term deposits rose to 21.07 per cent for the June quarter, up from 18.83 per cent one year ago (June 2015 quarter). OneVue emphasised the growing movement towards managed funds, with the category rising to 28.7 per cent, up from 24.7 per cent the previous year, and establishing itself as a dominant means of investment. Investment in separately managed accounts (SMAs) remained steady at 25.13 per cent of investments, with direct property holdings investments also increasing slightly to represent 8.61 per cent. “Advisers are continuing to access professional investment management through actively managed and passively managed trusts, in particular asset classes such as international, infrastructure and alternatives,” Mr Marsh concluded.